Long, flat shaft that widens at center then tapers down to hollow square ward projecting from lower end of shaft at right angle. 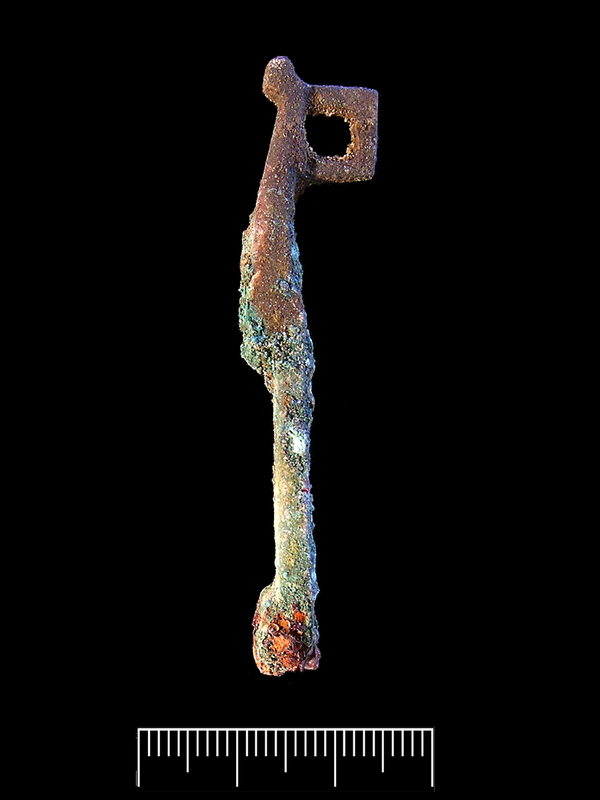 Small, knob-like shaft tip curls down and outward to the side opposite the ward. The ward would have received a rod or tie to function as a clasp to close the lid of a box or chest. 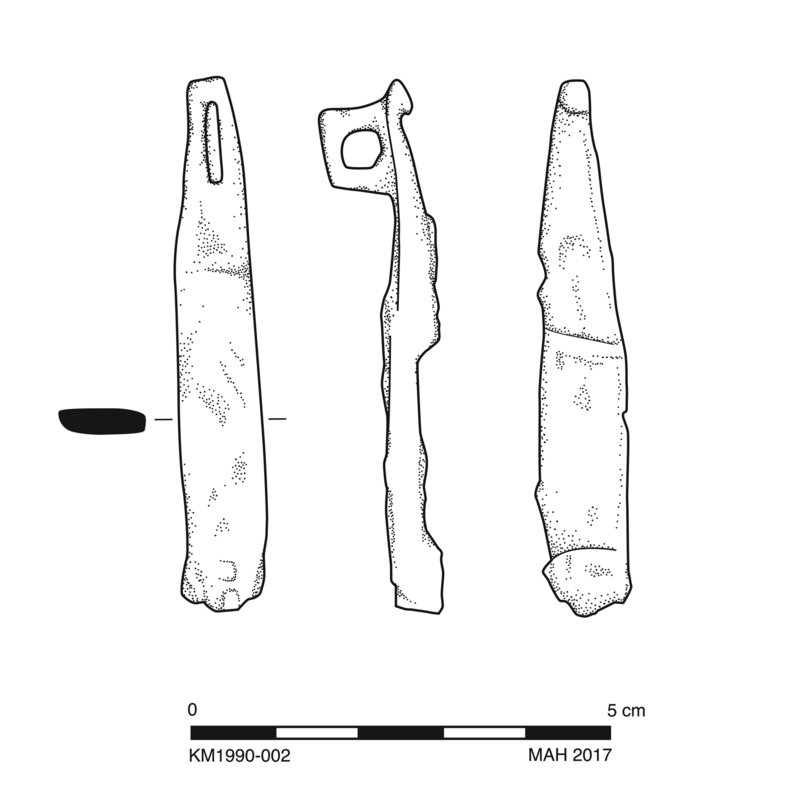 At the opposite end from the ward, the shaft terminates in a small rectangular plate that is pierced and preserves a bit or iron (?) wire or cord. This would have attached the clasp to the lid of the box or chest. Intact. Extensive bronze disease along middle shaft.